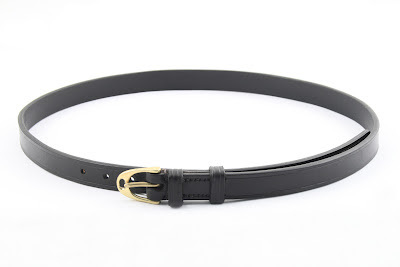 Here's another belt, specifically made for equestrian use but great for everyday use too. It's only 3/4" wide, so it can be used along with riding trousers and their tight belt loops. 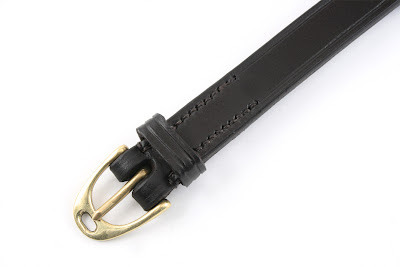 Stirrup iron shaped solid brass buckle, dark havana leather.